Found this little video this week while struggling with mitre corners on a border to extend the size. Some of you are masters at this and some may use this method but I found it so easy.....once I did the first one the rest were a breeze. Apologies for the state of the fabric, its a LA stripe so full of dressing that it crushes as you breathe, lord knows how I shall press the curtains. 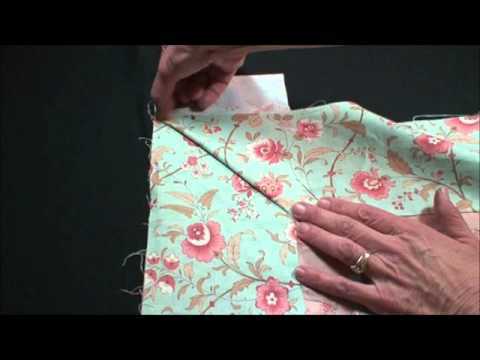 This is the best method for show quality quilt border miters.